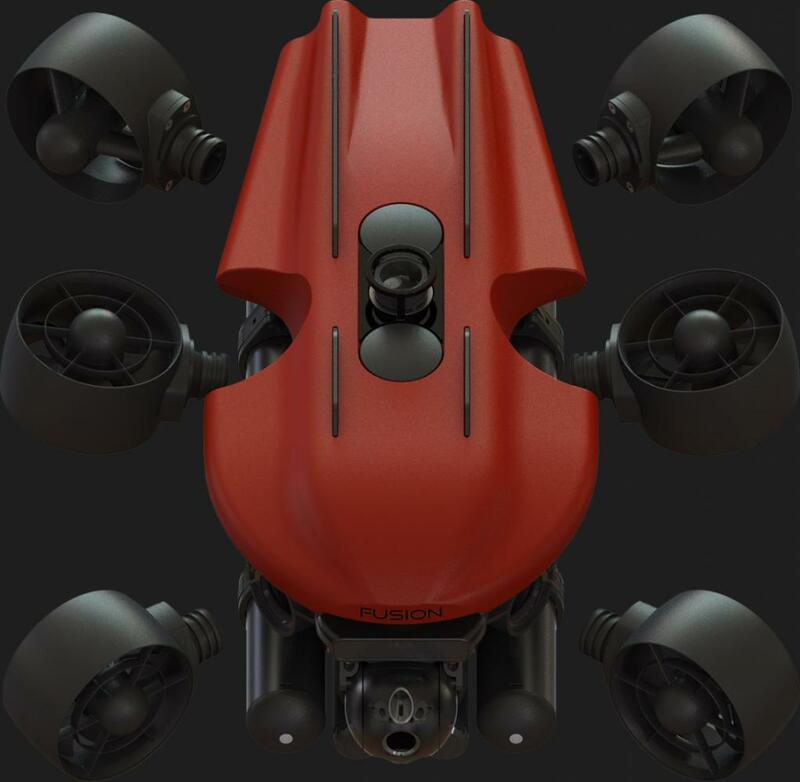 The FUSION exemplifies attention to detail by breaking from tradition with a new approach to underwater vehicle design. It isn't simply about coupling a suite of sensors, thrusters and batteries, but integrating them in such a way that produces a capable, stable and reliable underwater vehicle. Rethinking traditional "Flexible Platform" vehicle design by creating a vehicle built around a specific set of superior sensors enables the FUSION to be more streamlined. This design philosophy removes excess like interconnect cabling, connectors, pressure vessels and compromise. Material selection was carefully thought out to not only meet the demands of operating at depth, but also create an easy to maintain vehicle. Composites are used where possible as well as minimal use of stainless steel to help FUSION combat the difficult environment and minimize magnetic signature. Further refinement includes the use of a single exterior fastener, a titanium M5 x 16 socket head cap screw. No longer is the need for an extensive tool roll or exhaustive technical training. 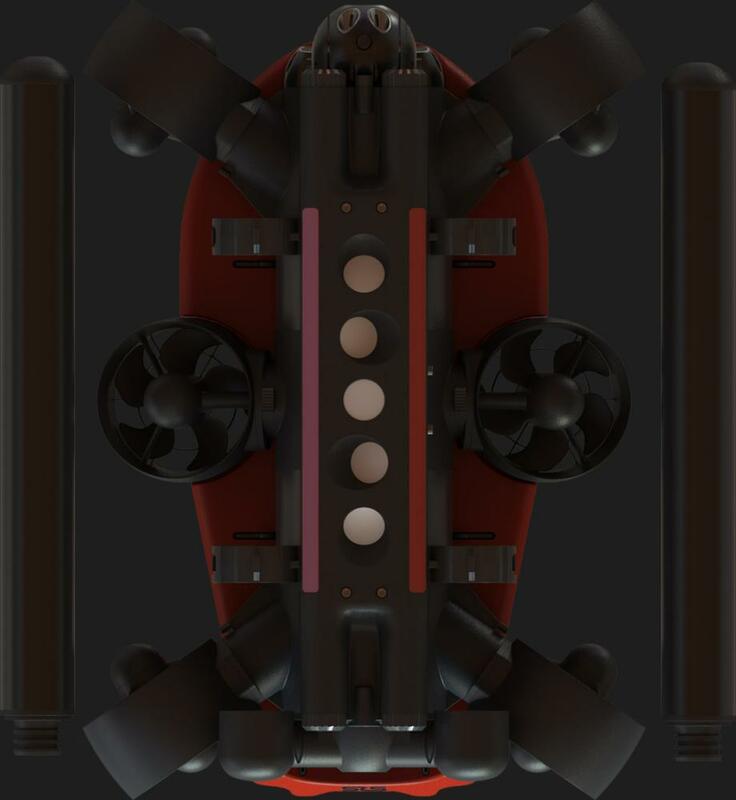 One of the critical components to every underwater vehicle are the thrusters, which must be powerful, efficient and reliable. The FUSION thrusters are another innovation that emphasizes all requirements and adds a few more clever features. With a goal of achieving the highest velocity possible the FUSION thrusters produce impressive numbers and not only Bollard thrust, but also thrust at speed. When conditions are difficult the thrust is there to overcome strong current in all directions. The six identical thrusters utilize a custom designed brushless DC out-runner style motor for maximum efficiency. Use of the out-runner design and internally located motor controller allows the thruster to be flooded, which eliminates the often troublesome shaft seal. Should a thruster become fouled the propeller guard is removable without tools and should a thruster need to be replaced the quick release mechanism allows replacement in seconds. Plus the internally mounted motor controller means thrusters are incredibly inexpensive. Endurance, rapid change and safety are all keep aspects of the FUSION battery design. The dual Lithium-Ion battery packs provide sufficient power to conduct 3-4 hour missions under typical conditions. Constant monitoring provides the operator with battery capacity and when the packs are low they can be swapped in minutes with the extra set included. Safety is paramount and the FUSION battery packs do not compromise. The packs are certified UN38.3 for commercial air travel, have a built in pressure release valve and sophisticated battery management system. 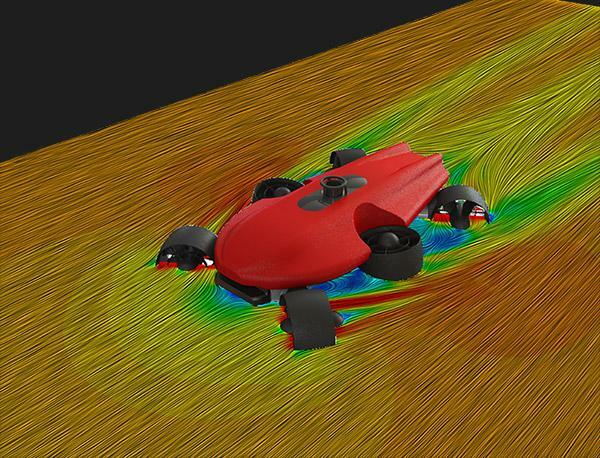 FUSION capitalizes on modern design tools with the use of computational fluid dynamics (CFD). 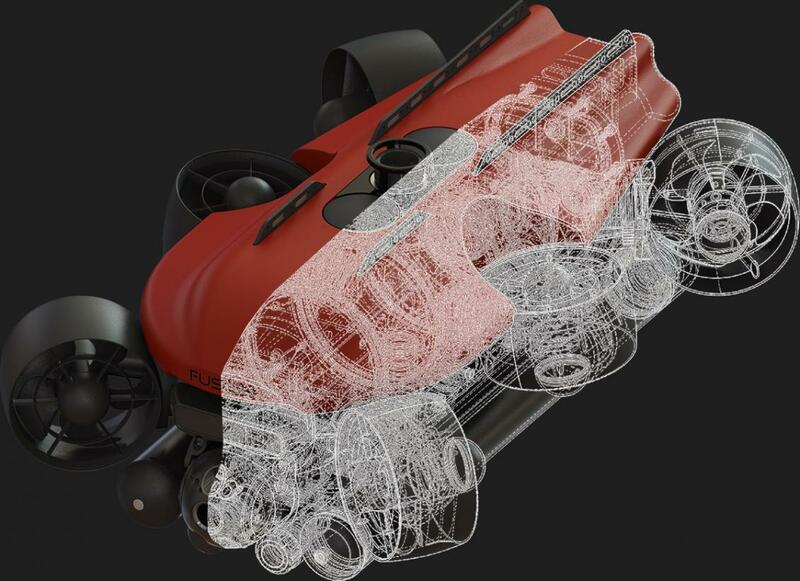 During the entire design process CFD aided in ensuring even the smallest features are optimized for maximum efficiency. This efficiency translates to greater velocity, increased stability and extended endurance.